Your birthday is a big deal so we want to help you celebrate BIG! We’re counting down the top 8 party ideas for kids birthdays -- and then blowing out the candles! We upgraded Sunday from lazy to extreme at TexPlex Park! 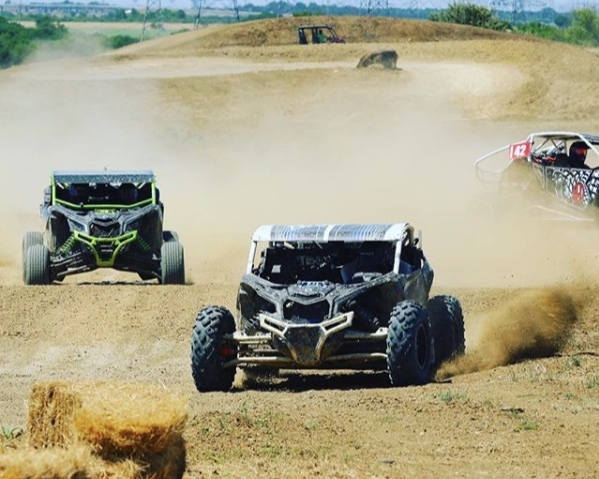 About a 45-minute drive from Dallas, TexPlex is for the very adventurous who live for adrenaline rushes! There is ATX/UV off-roading, a jet boat with a corvette engine that can carry 11 people and spin-out, motocross, and a firing range! It can become a bit pricey with each attraction ranging from $15-$50 so we’d recommend it for a small group -- and recommend packing lunch because there is not a lot in the way of food and drinks, and certainly not birthday cake, in the area. (We ate at a food truck onsite). The National Videogame Museum (NVM USA) is a no-brainer for a birthday party for a gamer! A rental comes with 2-hour access to a private room for up to 40 people, free play tokens for the 80s arcade, pizza, full use of the museum, and a special shirt for the birthday boy or girl! NVM is a fun activity-based party and blast to the past! Alamo Drafthouse is not your average cinema! They have over a dozen programs included in their “Signature Series,” which are perfect to piggy-back off of for a birthday party. Just a few in the series are “Hopped up Cinema” when they partner with a local brewery on a special flight and collectible pint glass for viewers, “Brunch on Broadway,” and “PBS KIDS” at the Alamo. You can also always rent out a theater for our own private viewing experience (put the home videos from birthdays past on the big screen)! A REAL fire truck with REAL firefighters will come to YOU! 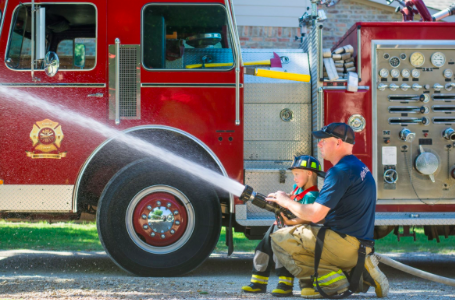 Starting at $350, they’ll drive the truck to your party for show and tell, playing, climbing and exploring the truck, and dress all birthday kids like little firefighters! To make it extra special for the birthday girl or boy, they’ll ride the truck around the block with the sirens and lights on! If you want to surprise and delight guests, plan a birthday party with goat yoga! Call Goat Yoga Richardson and they’ll find a way to bring their goats to you or help you find a space to set-up your event! If you’re worried about people having fun at your party, well, this is pretty much a guaranteed good time that’ll bring laughter, photos, cuddling, and a workout! Also, we recommend looking into local breweries like Community, Four Corners and 3 Nations Brewing Co. who might let you host at their location (so parents can have a beer!). A Paint Your Own Ceramic studio, Purple Glaze is for kids of any age. You select one of the 200+ ceramic pieces and an unlimited amount of paint, design and paint your piece, and then leave it to be glazed and ready for pick-up in five days! There are private party package for kids and adults. Time to pretend you are on an episode of Top Chef at Taste Buds Kitchen! You can celebrate a birthday with Taste Buds by booking teen birthday parties, at home parties, family events, play dates, and extravaganzas! A chef will help you whip up a culinary masterpiece from scratch. You might not be able to eat your cake and have it too, but you can make your cake and eat it too! Verbena is fabulous -- it’s an upscale cafe in the front, and a non-toxic nail salon in the back. It is so chic and we really appreciate the attention to detail. Sip on a matcha latte or topo chico and shop goods from local small businesses. Then take a seat and treat your nails to a mani or pedi with nail art!! Yes, the double exclamation point is to stress how excited we are about Verbena’s nail art!! Their technicians are artists and can do just about anything. They’ll also let you bring in food and drinks, as well as complementary vendors such as a henna artist. Anyone else have a birthday at Chuck e Cheese growing up? While Chuck e Cheese is still a thing, we would argue that Main Event is really where it’s at if you’re going for games and attractions. We had the best time bowling, competing in laser tag, playing arcade games, singing karaoke, and indulging in some great comfort food and cocktails. We’ll just go ahead and say it… Dave & Buster’s limits you to just the arcade games, food and drinks instead of letting you engaged in more interactive games like laser tag and bowling. So, we’d birthday party at Main Event.